I wanted to share a sweet little note card today. I used some wonderful papers from Webster's called Perfect Motifs. 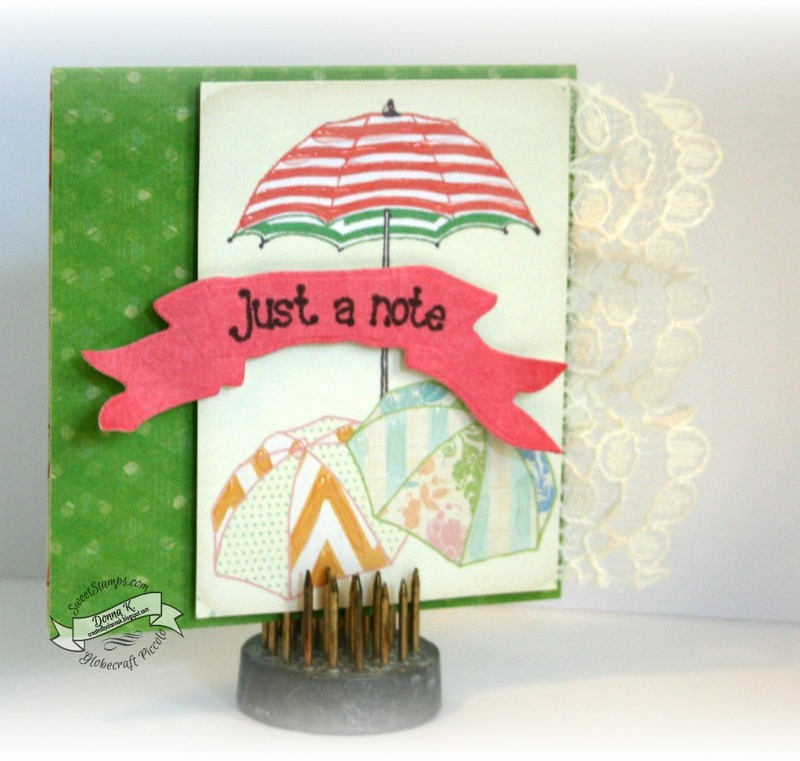 I liked the green polka dot background and those pretty beach umbrellas. The small note cards come in handy for me and are some of my favorite to create. The theme is Polka Dots and you can read more about it on yesterday's post! This is so cute, the umbrellas remind me of the beach in the summer.